Protect Your Business From Internet FraudWhy Use a ‘Smart’ Leak Detector? Spring is upon us. That means warmer weather and tax-refund checks on the way. It also means house projects are going to start up very soon, if they haven’t already. Oftentimes these projects require a professional contractor to do the work, whether it’s replacing windows, updating a bathroom or simply doing a spring cleanup. Homeowners are always looking to maximize their dollars and will often choose a contractor based on the lowest quoted price. However, is that the best option to take? Often this lower quote means the contractor is uninsured, which subsequently means he or she can keep pricing artificially lower than the competition. As an agent who insures a number of contractors, and as one who has seen countless claims, I would argue that choosing a contractor who may not have insurance is not the best course of action. Why? The lack of contractor insurance puts the homeowner in a precarious position, one that may result in a homeowner insurance claim or worse. 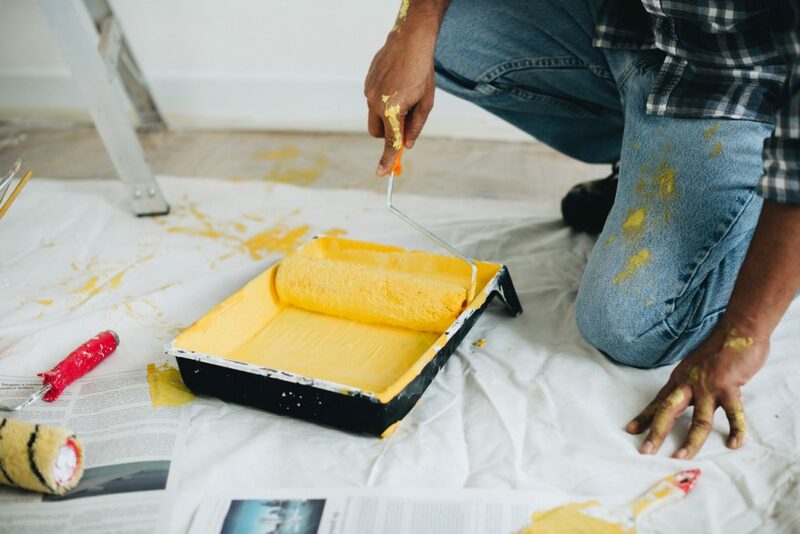 A contractor is working on your home and accidentally does damage to your house — breaks a window, spills paint on your wood floor, or causes a fire (do an Internet search on “oily rag fire” sometime). If the contractor does not have insurance, these “losses” (damages) could be handled by your homeowner insurance policy. However, these losses would be subject to a deductible. And since the insurance company can’t recover any of its losses from the contractor, this situation would very likely translate into an increase in your homeowner insurance premium when it’s time to renew. Also, it is worth noting that claims typically stay on a person’s record for three to five years. A similar scenario awaits you if a contractor causes damage to your vehicle. At our agency we have seen contractors scrape the sides of parked cars as they are trying to access a backyard. If you are working with an uninsured contractor, you could submit a claim to your auto carrier. This situation would most likely be classified as a collision claim, which is subject to a deductible. If your car does not have full coverage (comprehensive or collision), then you are paying for the repairs out of pocket. We have seen numerous claims result when a lawn-care contractor has improperly mixed or incorrectly applied a fertilizer and inadvertently burned up someone’s lawn. Under a standard homeowner policy, there is no property-damage coverage for your lawn. If your contractor is uninsured, you would be responsible for this damage yourself. We have seen claims like this cost more than $20,000. What happens if an uninsured contractor runs into a member of the household with equipment or kicks up a rock from a lawnmower, hitting someone who lives at the home? A homeowner policy would not pay for the cost of treatment for this injury. These policies do not cover injuries to people who live in the home. A homeowner policy will only pay for injuries to people who don’t live in the home (more on that later). So the only way to get coverage here would be to go through your own health insurance. With the state of health insurance today, that may mean paying out a high deductible and being subject to coinsurance. If you don’t have health insurance, then you will be paying the medical bills out of your own pocket. If the claim scenario above were to happen to, say, a neighbor kid who is on your property or simply walking by, the homeowner policy would likely cover this claim. However, as was the case above, if the insurance carrier can’t recover its losses, this claim very well may lead to an increase in your premium for the next three to five years. Not to mention a potentially strained relationship with your neighbor. What happens if the contractor or one of his or her employees is injured while working at your home? If the contractor is uninsured, that means no workers’ compensation coverage. This lack of workers’ comp means that not only is the contractor operating illegally, but it is also opening you up to a lawsuit. When workers’ comp is in place, employees are not entitled to go after other parties to pay for medical benefits and lost wages. Those are provided by the insurance policy. If no coverage is in place, workers can file suit against whomever they want. This will likely mean the business owner will be sued. But nothing is stopping injured workers from suing the homeowners, either, even if they are not at fault. To even defend a homeowner, an insurance carrier must open a claim. With that, we are back to the same situation as above — you may see an increase in your homeowner premium for the next three to five years, even though you did nothing wrong; that is, nothing except hire an uninsured contractor. So how can you know whether a contractor has insurance? Here’s what I recommend: When you request a job quote, be sure to ask for a certificate of insurance showing you as the certificate holder. This is a very common request and will not only show that the contractor has coverage, but that it is active. To explain: We have seen contractors start a policy, get a certificate that simply shows “verification of coverage,” and then let the coverage lapse or cancel because they have documentation in hand that they can show as “proof” of insurance, even when none is in place. Obviously, all situations and carriers are different. The scenarios listed above are meant to detail what most likely will happen if a claim arises. I would recommend checking with your insurance agent to find out how your specific insurance carrier would handle situations like those described here. Good luck on all your house projects this spring. Just make sure that while you are improving your home, you are protecting yourself at the same time. A family-owned insurance agency, we’ve been helping businesses, individuals and families in Arlington Heights and across the Chicago area find high-quality, affordable insurance coverage for more than 30 years. Stay in touch: Sign up for news, tips & inspiring stories with Bradish Connections! © 2018 Bradish Associates, Ltd.